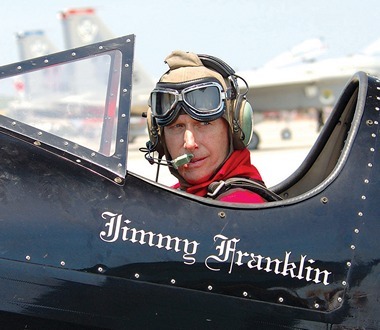 In 1967 19-year old Jimmy Franklin made his debut in his Waco UPF-7 and for almost a half a century the Franklin family name has been synonymous with creative, theme-based airshows that pack the grand stands and bring the crowds to their feet. 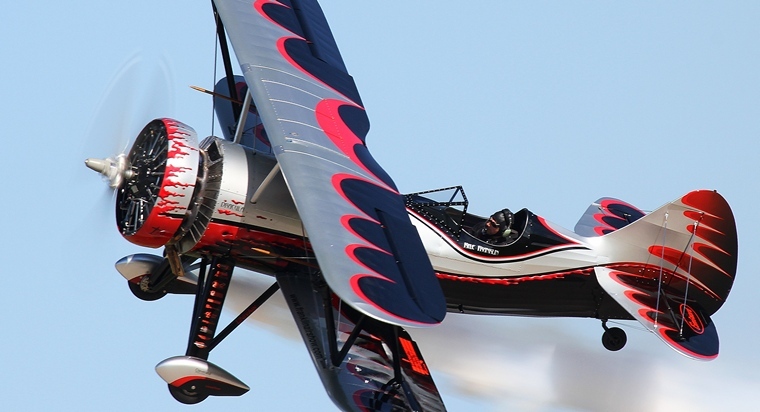 Jimmy and Bobby Younkin were the founding members of 'The Masters of Disaster' an airshow team that performed aerobatics in a combination with ground based jet-propelled trucks and pyrotechnics. The group's improvisational and often unscripted performances were the highlight of any show. Jimmy became a legend. He received the Bill Barber award for showmanship in 1989, the Art Scholl Memorial Showmanship Award twice, in 1986 and again in 1999. In 1990 and 1996 he was voted General Aviation News and Flyer 'Reader's Choice's Award for Favourite Overall Performer and Favourite Specialty Act. In 1999 he was also awarded the Clifford W Henderson Achievement Award and Jimmy was also honoured posthumously in 2007 with induction into the ICAS Foundation Airshow Hall of Fame. Jimmy and Bobby were killed in a mid-air collision whilst performing their signature dogfight act on 10 July 2005. Some people follow in the footsteps of their parents, some blaze a new trail - Kyle Franklin has done both. The legendary airshow career of his father was Kyle's playground; he was eight years old when he learned to fly a Super Cub. Kyle had big shoes to fill and he filled them well. 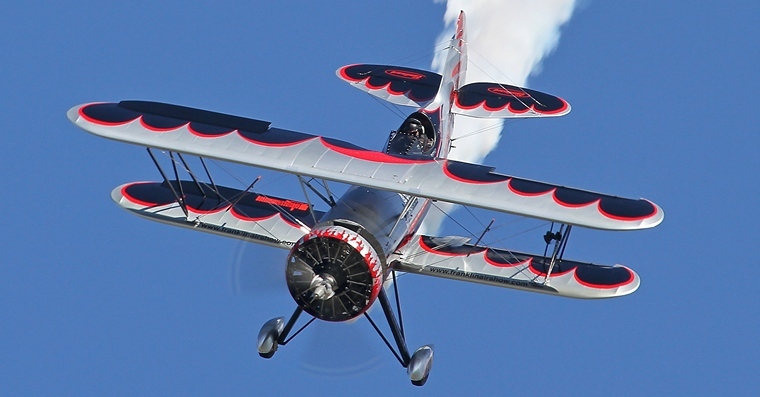 He was after all well-equipped; he had already mastered wing walking, the motorcycle to airplane transfer, the Cub Comedy routine as well as flying the Jet Waco. 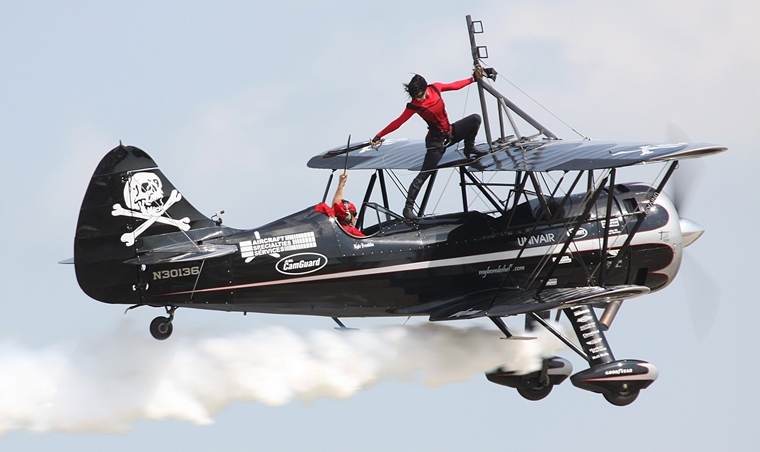 In 2008, Kyle and wife Amanda introduced Captain Kyro and Scandalous Scarlett in their Pirated Skies act and brought a new dimension to airshows. For three seasons their airborne sword fights and Amanda's daring wing walking thrilled the crowds wherever they went. On 12 March 2011 tragedy struck when during a show at Brownsville the engine of their Waco lost power. Amanda was able to climb off the wing and into the forward cockpit seat before the forced landing but she was badly burned in the ensuing fire and passed away on 27 May. Kyle's next act was nine years in the making. Like most of the Franklin's act it was based on a fictitious character. This time it was to be someone sinister. In its new guise the Waco Mystery Ship became the Franklin Demon-1 Dracula, the immortal monster of dreams and nightmares. The concept was originally conceived by Kyle and his late father. The aircraft chosen for the act was the iconic Waco Mystery Ship. 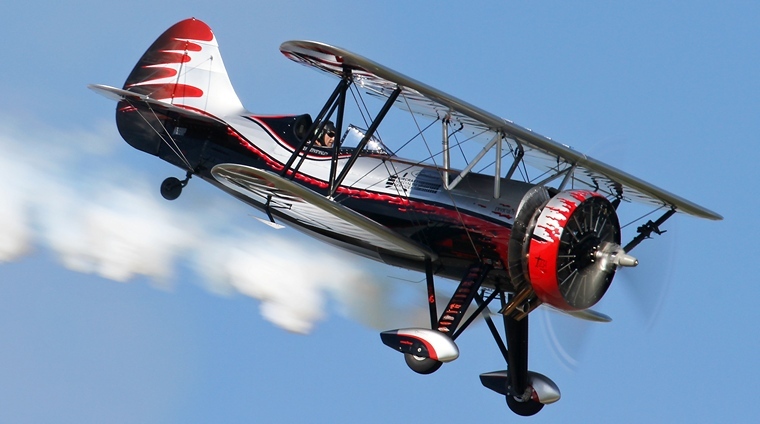 The pleasing lines of the biplane were further modified; the tapering fuselage, speed ring cowling, and sloped windshield hearken back to the racing airplanes of the 1930's. Designed and built solely for the airshow scene Dracula is powered by the very first direct port fuel injected R-985 P&W with over 500 horsepower and a MT propeller. The nearly full span ailerons gives Drac a roll rate off over 300 degrees per second and G limits of +-15g. The two-colour smoke system is custom made for the vampire theme of this act. The fuel system holds just 26 gallons just enough for its act with a safe reserve. Dracula also features what Kyle calls the "Amanda Switch." The switch cuts off the fuel and smoke oil supply after a severe impact. Needless to say Dracula is trailered to shows, besides the low fuel capacity it also gives the team maximum reliability since they don't have to worry about weather when traveling to an air show. Kyle finished the airplane in secrecy. 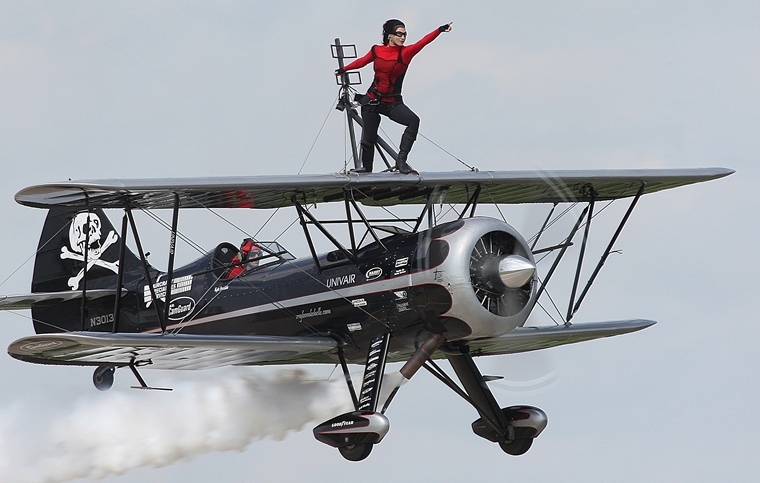 As evidence of Kyle's reputation as a performer, over fifteen air shows booked the act without ever seeing even a picture of the illusive airplane. Dracula in now a regular part of the US airshow scene and one of the most anticipated act at AirVenture, Oshkosh.